Chefs Anna and David Posey will opened Elske in the West Loop last December. WEST LOOP — Elske has been named one of the best new restaurants in the country in a Bon Appétit magazine list crowning the "Hot 10." The West Loop eatery, a Nordic-influenced New American restaurant at 1350 W. Randolph St., ranked No. 2 on Bon Appétit's list, garnering praise for its "clean and modern" approach to perfectly executed dishes like grilled wagyu, confitted chicken thighs and a citrus sundae with barley malt caramel. Just one other restaurant in Chicago — which Bon Appétit recently named the Restaurant City of the Year — made the list. Giant, which opened in Logan Square in 2016, ranked No. 6, which its chefs said was "really amazing." 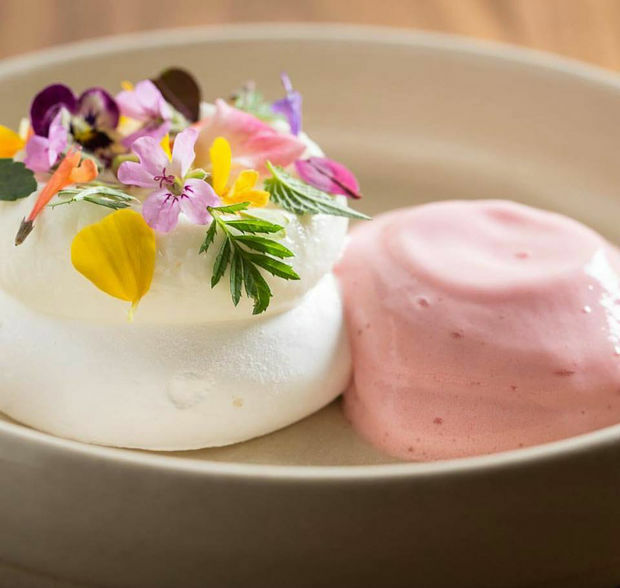 Elske opened in December 2016, a meeting of the minds of The Publican executive pastry chef Anna Posey and her husband, David Posey, the longtime chef de cuisine at Blackbird. The restaurant's seasonal menu features an eight-course tasting menu for $85. Elske's name, which means love in Danish, makes sense — David Posey's mother is from Denmark and he spent holidays visiting family in the Nordic country. After meeting at One Off Hospitality's Blackbird in 2010, David Posey proposed to Anna in Copehagen, too. David Posey left Blackbird for good in December 2015 after nine years at the award-winning restaurant on Randolph. An Alinea alum, he was nominated for the James Beard Foundation's Rising Star Chef award in 2013 and 2014. Anna Posey worked as executive pastry chef at The Publican for three years and previously worked at Publican Quality Meats and Blackbird, One Off Hospitality restaurants in the West Loop, and Everest. 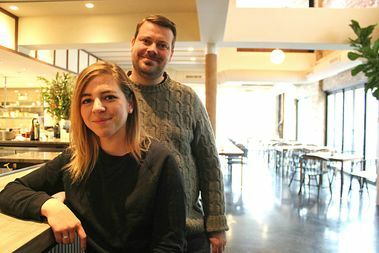 Elske's opening gave new life to a restaurant that formerly housed Sawtooth, which closed in April 2015 after a shooting near the club and legal issues. Topping Bon Appétit's list of the best new restaurants in the United States is Turkey and the Wolf in New Orleans. Other cities with restaurants that made the list include San Francisco, Philadelphia and St. Louis, but Chicago was the only city with two restaurants on the list. Chicago finalists also included Smyth & The Loyalist in the West Loop and Logan Square's Mi Tocaya Antojeria.